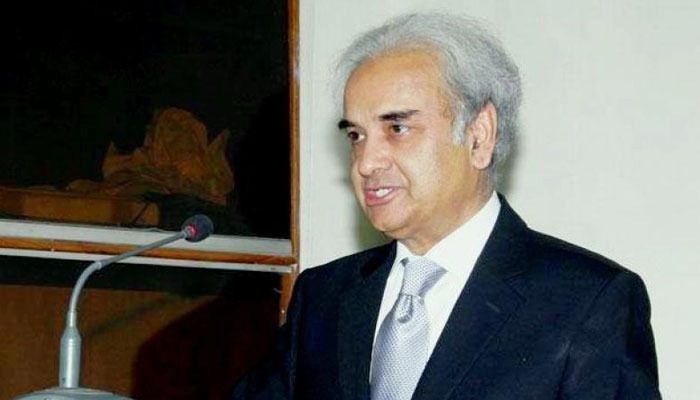 PESHAWAR: Caretaker Prime Minister Justice (R) Nasirul Mulk on Thursday directed for providing foolproof security to candidates contesting the general election and the political leadership to avoid Peshawar-like gory incidents in the future. The prime minister issued the directives during a meeting with Khyber Pakhtunkhwa (KP) Governor Engineer Iqbal Zafar Jhagra and caretaker Chief Minister Justice (r) Dost Muhammad Khan at the Governor House. Federal Minister for Interior Muhammad Azam Khan was also present on the occasion. The prime minister expressed concern over the loss of precious lives in the Peshawar blast. The meeting focused on law and order situation and security matters, arising after the brutal attack on the Awami National Party’s (ANP) meeting, claiming lives of 22 persons, including party’s candidate for PK-78 Barrister Haroon Bilour, and injuring around 60 others. The prime minister was informed about the security measures taken by the caretaker KP government for the security of candidates and top political leadership in the wake of the deadly suicide attack on the ANP meeting. The prime minister expressed deep grief over the loss of precious lives in the attack and prayed for early recovery of the injured. He said that the entire nation was saddened by the tragic incident of the suicide attack and loss of precious lives and equally shared the grief of bereaved families. arrival at the Bilour House. KP Governor Iqbal Zafar Jhagra, Punjab Governor Rafiq Rajwana and KP Chief Minister Dost Muhammad Khan were also present on the occasion.